Elite military units are specializing in mock space warfare, as Russia and China develop anti-satellite weaponry. In a large, tin-roofed warehouse near Colorado’s Rocky Mountains, members of a team of modern space warriors spend their days hatching plots to defeat the US military in extraterrestrial combat. Their job is to act like the enemy during mock space battles to help US units prepare for a conflict that may one day extend into the cosmos. The 26th and 527th Space Aggressor Squadrons are headquartered in a two-story warehouse at Colorado’s Schriever Air Force Base, stocked with advanced radio and satellite equipment and nicknamed “the barn.” Behind the building, antenna dishes trace the sky. While attacks by the Space Aggressors are simulated, senior US military and intelligence officials warn the threat in space is very real. America relies heavily on space assets to project force around the globe, from launching missiles to directing warships across the seas. Indeed, the Global Positioning System, or GPS, is actually a group of 31 high-orbiting satellites owned by the US government and operated by the US Air Force. Some worry that disrupting America’s vast network of satellites and ground-based systems could send US forces back to an antiquated era of targeting, communications, and navigation systems — deeply undercutting battlefield superiority. This spring, rhetoric from US military officials about the need to bolster American defensive position, and even offensive capabilities, in space has ratcheted up amid concern that Russia and China are rapidly developing anti-satellite weapons. In that hearing, Senator Ted Cruz (R-TX) asked General Hyten to assess the threat to America’s space assets from countries like Russia and China. The Space Aggressors aim to simulate attacks a real adversary might use, so US forces can practice overcoming them. One tactic Space Aggressors are known to employ is called “brute force jamming,” which involves sending powerful signals over satellite networks to garble the original message. Many details of their operations, however, remain secret. In addition to wargaming in a contested space environment, US troops are also training to fight without access to space — in case one day they have to. Six years ago, the Air Force held a study called “A Day Without Space” at the Nellis Air Force Base in southern Nevada that sought to replicate what would happen if American forces were deprived of satellite communications and global positioning data. 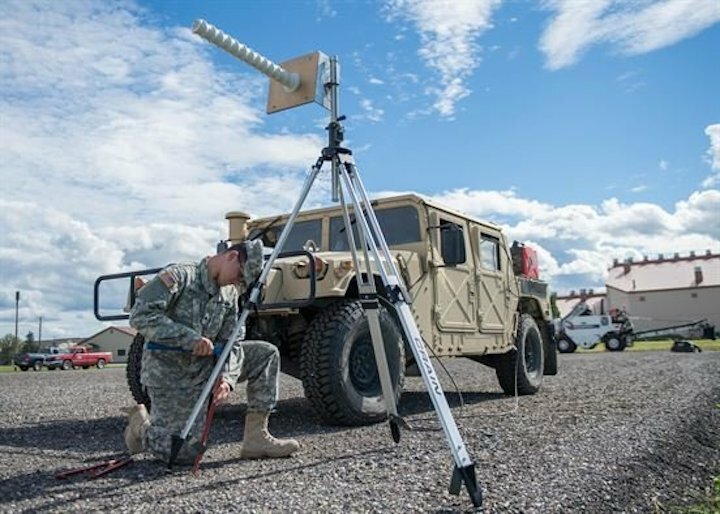 Following the study, the military “relearned” techniques for fighting without access to GPS or satellites — using alternate tools like “inertial navigation systems,” which don’t need orbiting reference points, and even compasses and maps, Hyten said. The Department of Defense has spent at least $22 billion in recent years “to defend and improve the resiliency of our assets in space and put potential adversary space systems at risk,” former US Secretary of Defense Ash Carter wrote in a memo to President Barack Obama prior to the end of the administration's term. In April, the Air Force announced it would create a new position for a three-star general to serve as advisor to the Air Force Secretary and Joint Chiefs of Staff on space issues — effectively, a space war czar. In the same month, the Pentagon gave the Joint Interagency Combined Space Operations Center, which went by the confusing handle JICSpOC, a shorter and more descriptive title: the National Space Defense Center. The military also announced a new initiative aimed at deepening defense partnerships in space with US allies known as the Multinational Space Collaboration effort. That new measure will “explore methods for increased sharing, cooperation, and collaboration to preserve the safety of spaceflight, and enhance mutual security,” Stratcom said in a statement in April. The first foreign liaison officer, from Germany, is expected to join the initiative at the Vandenberg Air Force Base in California this summer. Meanwhile, back in Colorado, the Space Aggressors continue to wage simulated space war to help US troops prepare for a real one.